Ribosomal RNAs (rRNAs) comprise 50 to 70% of the mass of the ribosomal particles. 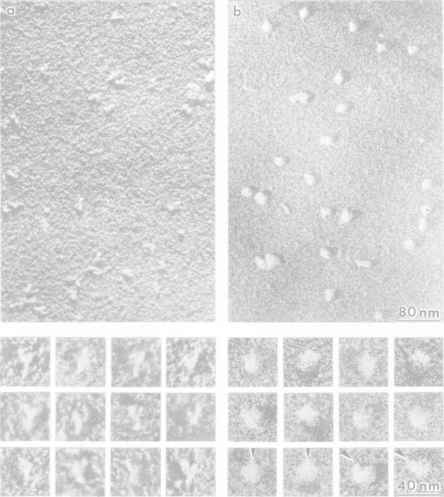 They principally determine the size and the shape of the ribosomal subunits. The rRNA molecules form a framework for specific positioning of ribosomal proteins in the ribosome. rRNA plays the leading role in ribosome function participating in every aspect of protein synthesis. Therefore, it can be said without exaggeration that the ribosome is in the first place its RNA. It should be noted that this concept was not generally accepted among molecular biologists until the early 1980s. 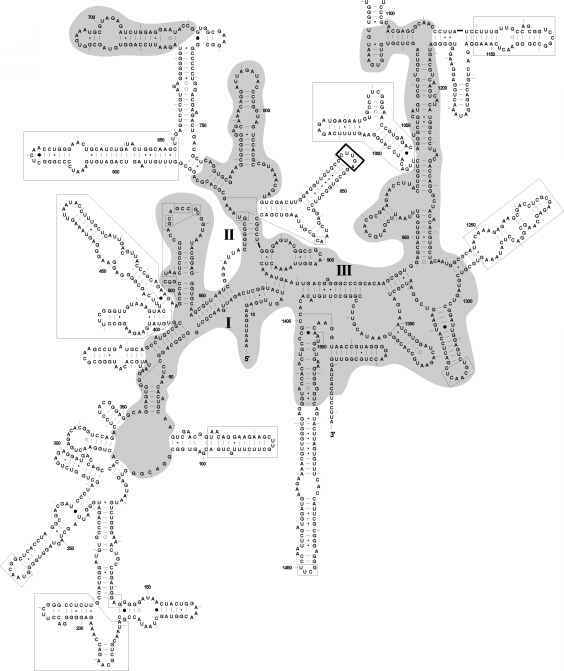 In the 1970s, despite the growing numbers of findings that indicated to the participation of rRNA in organization of ribosomal functional centers (such as discovery of mRNA-rRNA interaction during translation initiation by Shine and Dalgarno, 1974, or identification of rRNA mutations that affected ribosome activities), it was generally believed that active centers of the ribosome were formed mainly by ribosomal proteins, whereas rRNA in the ribosome served only as a scaffold for specific protein binding. The shift from the protein to the RNA paradigm came after realization that the primary, secondary and tertiary structure of rRNA is highly conserved throughout evolution. The discovery of catalytic RNAs also strongly strengthened the concept on the function-defining role of rRNA in translation. Now there is strong belief that the ancient ribosome was composed entirely of RNA, and the modern ribosome proteins only help to organize intraribosomal structure of rRNA and fine-tune its activity. As all other single-stranded polynucleotides, rRNAs respond to changes in ionic strength and temperature by altering their structure from being completely unfolded to rather compact. At the same time, it is customary to characterize and designate rRNAs (as well as ribosomal subunits) with their sedimentation coefficients (Kurland, 1960) that are a function of macromolecular size and shape. In this connection, it should be emphasized that the values of sedimentation coefficients generally used to mark different types of rRNA are valid only within a limited range of conditions and practically obtained at ionic strength 0.1, 20°C, in the absence of Mg2+ and other divalent cations. The small ribosomal subunit (30S or 40S) contains one molecule of high molecular weight rRNA that is designated as 16S rRNA in the case of ribosomes of E. coli and other bacteria, or 16S-like rRNA in other cases (after the 16S rRNA of E. coli ribosomes). After 1978, when the first complete nucleotide sequence of 16S rRNA was determined in Ebel's and Noller's laboratories (Carbon et al, 1978; Brosius etal., 1978), many different rRNA genes were sequenced. The shortest 16S-like rRNA, only 610 nucleotides long, was found in mitochondrial small ribosomal subunits from the homoflagellate Leishmania tarentolae. Relatively short 16S-like rRNAs (10-12S rRNA, 960-970 nucleotides long) were also discovered in mitochondrial ribosomes of higher Eukaryotes; interestingly, cytoplasmic ribosomes of the same organisms contain the longest 16S-like rRNA (18S rRNA, about 1880 nucleotides long). The first and best studied 16S rRNA of E. coli ribosomes consists of 1542 nucleotide residues. The vast majority of 16S and 16S-like rRNAs are continuous (uninterrupted) polynucleotide chains. However, several examples of split (fragmented) 16S-like rRNA were found in mitochondria of some species. An example is the mitochondrial 16S-like rRNA of Chlamydomonas reinhardtii that consists of four separate polynucleotides (Boer & Gray, 1988). The large ribosomal subunit (50S or 60S) contains a high-molecular-mass rRNA called 23S rRNA in the case of bacteria or 23S-like rRNA in other cases, and a low-molecular-mass rRNA designated as 5S RNA. The bacterial 23S rRNAs are covalently continuous polynucleotide chains, as the 16S RNAs are. At the same time the molecules of 23S-like rRNA of the large ribosomal subunits of cytoplasmic ribosomes of all Eukaryotes are discontinuous. They consist of two tightly associated polynucleotide chains: a high-molecular-mass 28S rRNA fragment with the length of 4700-4800 nucleotide residues, and a low-molecular-weight 5.8S rRNA fragment that is about 160 nucleotides long. In corresponding rRNA genes, 5.8S and 28S rRNA coding sequences are separated by an internal transcribed spacer (ITS), and the corresponding rRNAs are formed as a result of removal of the ITS during the processing of a common precursor. The 5.8S rRNA appears to be the structural equivalent of the 5'-terminal 160 nucleotide segment of the prokaryotic 23 S rRNA. In other words, the 5' end of 23 S rRNA was split off during evolution to form the eukaryotic 5.8S rRNA. Another example of discontinuity among large-subunit rRNAs is the 23S-like rRNA of plant chloroplast ribosomes. It contains 4.5S fragment (about 110 nucleotides long) that is the structural counterpart of the 3'-terminal segment of E. coli 23S rRNA; the fragment is also tightly associated with the high molecular mass rRNA. The mitochondrial 23S-like rRNA of Chlamydomonas reinhardtii is constituted by eight separate RNA pieces (Boer & Gray, 1988). The most striking example of discontinuous rRNA is Euglena gracilis cytoplasmic 23S-like rRNA that consists of 14 fragments (Schnare & Gray, 1990). Just as in the case of rRNA from small ribosomal subunits, large subunit rRNAs strongly differ in length. For example, 23S rRNA from the 50S subunit of E. coli ribosomes consists of 2904 nucleotide residues, whereas human cytoplasmic 28S rRNA is 5025 nucleotides long. It is interesting that both cytoplasmic and mitochondrial yeast 23S-like rRNAs (26S rRNAs) have the similar size (3392 and 3273 nucleotide residues, respectively, in the case of Saccharomyces cerevisiae). Large ribosomal subunits of mitochondrial ribosomes of higher Eukaryotes contain relatively short 23S-like rRNAs (1560-1590 nucleotide residues). As mentioned above, in addition to one molecule of 23S rRNA or one 28S:5.8S rRNA complex the large ribosomal subunits of cytoplasmic ribosomes of all Prokaryotes and Eukaryotes contain one 5S rRNA molecule that is about 120 nucleotides long. The 5S rRNA of E. coli was the first ribosomal RNA species whose primary structure was determined (Brownlee et al., 1967). The 5S rRNA forms a separate domain of the large subunit. In contrast to the 5.8S rRNA it is not tightly associated with 23S-like rRNA and therefore cannot be considered as a component of this rRNA. 5S rRNA was also found in chloroplast ribosomes but is apparently absent from mitochondrial ribosomes except land plant mitochondria. Besides "normal" G, A, U and C residues the high-molecular-mass rRNAs contain modified nucleotides. They are mostly represented with pseudouridine (y) and methylated (both at the base and at the 2'-OH of ribose) nucleoside residues. Although some modification sites in rRNAs are extremely conserved in evolution (such as mA1518/mA1519 and m G527 in the 16S-like rRNA, see Fig. 6.1) the number of modified residues in rRNA differ strongly in different organisms and increases dramatically from eubacteria to multicellular Eukaryotes. For instance, E. coli rRNA has 9 y residues per 70S ribosome (1 in 16S rRNA and 8 in 23S rRNA), whereas vertebrate rRNAs contain about 95 y residues. The latter ones contain also about 100 2'-methylated ribose residues and 10 methylated bases. The distribution of modified residues through the rRNA molecules and their possible role in the organization of rRNA structure will be discussed in the following sections. It has to be noted that several sequence-specific methylases and pseudouridylases have been found in E. coli. In eukaryotic cells small nucleolar RNAs (snoRNAs) participate in rRNA modifications forming complementary rRNA-snoRNA complexes at modification sites. The present-day view of macromolecular structure of rRNA (as well as all other single-stranded RNAs) is based on ideas developed in the late 1950s and early 1960s (Fresco et al., 1960; Spirin, 1960; Cox, 1966). It was postulated that rRNA is built of numerous, rather short double-stranded regions, in which base-pairing occurs between neighboring RNA segments connected by single-stranded sequences. Early secondary-structure models of the E. coli 16S and 23S rRNA were generated by maximizing Watson-Crick base-pairing within the putative helical regions. In addition it was taken in consideration that double-stranded regions in rRNA can be formed not only between neighboring sections, but also between quite distant regions of the polynucleotide chain. The models satisfied the physico-chemical data accumulated by that time. It was clear, however, that more information was needed to get realistic models of rRNA secondary structure. The break-through in rRNA secondary structure study occurred when several rRNA sequences became known. 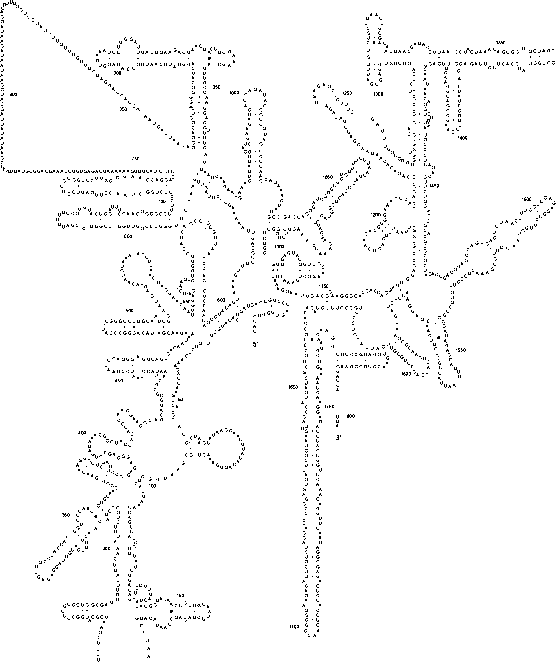 This allowed Woese and co-workers (1980) to propose and use successfully the comparative sequence analysis of rRNA structure based on a very simple principle. This principle suggests that "the functionally equivalent RNA molecules should form a comparable three-dimensional structure no matter how similar or divergent their sequences are". In other words, if this principle is correct, rRNAs from different organisms have to form isomorphic secondary and tertiary structures. First of all it means that the coordinated compensatory base changes should be observed in homologous rRNA double-stranded regions (e.g., A:U G:C). The crucial point of the comparative approach is therefore searching for positional covariance in proposed secondary-structure elements (double helices). Thus, the realistic secondary structure models for archaebacterial, eubacterial, eukaryotic, mitochondrial and chloroplast rRNA have been created and corroborated by the comparative method, in combination with experimental approaches (e.g., chemical modifications, enzymatic probing, RNA-RNA cross-linking, complementary oligonucleotide binding, etc.) that allow to distinguish between single-stranded and double-stranded regions in RNA molecules (Woese et al., 1983). The current versions of secondary structures for prokaryotic (E. coli), eukaryotic (Saccharomyces cerevisiae) and mitochondrial (Caenorhabditis elegans) 16S or 16S-like rRNAs are presented in Figs. 6.1, 6.2, and 6.3. The most important features of these structures are as follows. rRNA chain folds back into a series of structural motifs; these are (a) ideal hairpins with external (end) loops, e.g. the hairpin 1506-1529 (here and below all examples are taken from E. coli 16S rRNA secondary structure model, Fig. 6.1), (b) helices with a single bulged nucleotide, e.g. the helix 27-37:547556, or with a pair of bulged nucleotides, like in the helix 61-106, (c) helices with larger bulge (side) loops, such as the hairpin 289-311, (d) the so-called compound hairpins or helices with interior loops where double-helical regions alternate with non-complementary regions, e.g. the hairpin 1241-1296, and (e) different sorts of branched and bifurcated helices, such as the structures in the regions 122-239 and 997-1044. Although rRNA helices are formed predominantly due to antiparallel Watson-Crick base paring (more then 80% base pairs in the all known rRNAs), G:U and U:G pairs also occur with relatively high frequency (13%). Among other possible non-canonical base pairs, A:G (G:A) and U:U are observed more frequently (3% and 1% respectively). One can expect that rRNA helices are in the A-type conformation (see also Section 3.2.2). When synthetic or nucleolytic fragments of rRNA were studied by NMR spectroscopy or X-ray crystallography it was proved that indeed they adopted conformations very close to the classical A-form. Conformations of single-stranded regions within rRNA molecules are unknown. NMR studies of short RNAs representing different elements of rRNA secondary structure demonstrate that both external (end) and internal (side) loops may have quite complicated and well ordered structure. For example, the structure of the UUCG tetraloop closed by C:G pair (it is present in the E. coli 16S rRNA at positions 420423, 1029-1032, and 1450-1453) is characterized by an additional wobble G:U base pairing in the double-helix stem, with guanosine in the syn conformation, so that the loop proper includes only two nucleotides (UC). A sharp turn in the phosphodiester backbone is stabilized by the hydrogen bond between the amino group of the cytidine and the oxygen of the UpU phosphate and the extensive base stacking (Figure 6.4). Figure 6.1. Secondary structure model for E. coli 16S rRNA. Watson-Crick base pairs are connected with short lines. Dots, open and closed circles show non-canonical base paring. Every 10th nucleotide position is marked, and every 50th position is numbered. Tertiary interactions are shown with long solid lines. The universal core sequences are shaded, and variable regions are shown in boxes. (R. R. Gutell, Nucleic Acid Res. 21: 3051-3054, 1993; S. A. Gerbi, in Ribosomal RNA: Structure, Evolution, Processing, and Function in Protein Biosynthesis, R. A. Zimmermann & A. Dahlberg, eds., p.p. 71-87, CRC Press, Boca Raton, 1996). Figure 6.2. Secondary structure model for Saccharomyces cerevisiae cytoplasmic 16S-like rRNA (see the legend to Fig. 6.1 for details and references).